BrightStar Care of Central St. Louis County, MO, a home care and medical staffing agency, spearheads holiday shoe donation drive for Soles4Souls to help people in need. I strongly encourage everyone in the community to embrace the spirit of giving this holiday season and drop off a pair of shoes to help a person in need. BrightStar Care of Central St. Louis County, MO is hosting a holiday shoe donation drive for Soles4Souls, a nonprofit global social enterprise committed to fighting poverty through the collection and distribution of shoes and clothing. New or gently worn pairs of shoes can be dropped off at BrightStar Care of Central St. Louis County, 2190 S. Mason Road, Suite 204, St. Louis, MO 63131. “I strongly encourage everyone in the community to embrace the spirit of giving this holiday season and drop off a pair of shoes to help a person in need,” said Charlie Scarlett, owner of BrightStar Care of Central St. Louis County, MO. 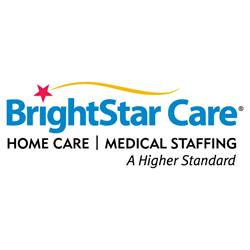 BrightStar Care of Central St. Louis County, MO, provides quality home care, caregivers and medical staffing solutions to families and businesses in the St. Louis County area. Its home care agency services include senior care, skilled home care, transportation services, child care, personal care, Alzheimer’s & Dementia care and companion care. For more information, please call (314) 984-8650, or visit http://www.brightstarcare.com/central-st-louis-county.